It may be presumed that the Traceys of Meath are descended from the Uí Bairrche. The Traceys of Meath can trace their history back to the beginning of historical records, as Meath formed part of the territory of the Uí Bairrche. Meath - Peter Tracy, rector of Rathmore and Richard Tirrell of Flower, 12 Eliz, for payment of such first-fruits as were due - 20 l. Str. for lands in co. Westmeath : Clonlost alias Newbridge, Crosserdree, Clondalever, Fennor, Balrath, Ballycorr & [ Druminroenan adjoining Druminroe ? ] all in Parish Rathconnell, barony Moycashel & Magheradernon. Also Johnstown & Killadoughran, Parish Castletowndelvin, Barony Delvin. Also Ballycahillroe & Agharanny, Parish Kilcleagh, Barony Clonlonan. 1 house in Trim, co Meath. At the assizes of Trim, of the 8th September, no less than 27 have been found guilty of high treason. Tracy, who is one of the persons convicted at the above assizes, is a man of some property, and of a respectable family. Thomas Tracy was tried for high Treason, in associating with and arming men to assist the French in case of an invasion. At a meeting of 150 men on the 2nd of March, each man was to raise seventeen men to assist the French on their Landing. Tracy was made a commander of seventeen. Thomas Tracy was tried for high treason, in associating with, and arming men to assist the French in case of an invasion...first witness James Kane...Tracy was made a commander of 17...Counsel for the prisoner urged the circumstances of compulsion under which the prisoner was proved to have acted, as his best and only defence. Verdict guilty. 27. Mathew Treacy, Summerhill Town, [Laracor Co. Meath], Lease dated 20th May 1821, 0a/3r/20p, £5.10.8 rent, Life of John Treacy (dead) and Mathew Treacy (living) or 31 years from 1st May 1821, House and garden in town of Summerhill. An abstract of lease will be handed to the purchaser. Mary Tracy, RC, Oldcastle, Co, Meath. Thomas Tracy Born Lurgan, Cavan Served in 40th Foot Regiment; Meath Militia Discharged aged 40 Covering date gives year of discharge 1831. James Tracy, Ninch, Co. Meath, 1836, Prerogative Court will. Exec: E. Doran, Ninch, ??? (laytown, Co. Meath?). IWR/1836/F/94. Subscriber to Bourke, Ulick Joseph (1856) The college Irish grammar: compiled chiefly with a view to aid the students of St. Patrick's Maynooth. Dublin. Fitzpatrick WJ (1861) The Life, Times & Correspondence of the Right Rev. Dr Doyle, Bishop of Kildare & Leighlin. Duffy, Dublin. ...Thomas Tracey of Dunsaughlin? Ward. September 1896 - Gardener (Head Working); understands peaches, vines, fruit, flowers, vegetables; leaving owing to present employer going away; highly recommended; married, no family - P. Tracey, Ballysaggartmore, Lismore, Co. Waterford. November 1896 - Gardener (Head Working); understands vines, peaches, fruit, flowers, vegetables; highly recommended; married, no family; state terms - P. Tracey, Dowth, Drogheda, Co. Meath. December 1896 - Gardener (Head Working); thoroughly understands his business; long discharges; married, no family; highly recommended - P. Tracey, Dowth, Drogheda, Co. Meath. Tracy and Mullen - January 11, 1898 at the Roman Catholic Church, Maoynalty, county Meath by the Rev. M. Kenny PP, Thomas J Tracy, 37 St. Patricks road, Drumcondra, Dublin (late Tullamore) eldest son of patrick Tracy, Her Majesty's Customs, Liverpool, to Annie Mullen, youngest daughter of Lawrence Mullen, Newcastle, county Meath (niece of the late Rev Christopher Mullen PP, Moynalty, and cousin of the Right Rev. Monseigor Gaughran PP and VG Kells. No cards. Army Reservist, late 6th Dragoons, wants situation as Groom and Coachman; can be well recommended. Address Mr. J. Tracey, Navan Gate, Trim, Co. Meath. William Treacy, 2030 Connaught Rangers. Enlisted April 1st 1886, Discharged 1/4/1898. born Kilconduff, near Swinford, Mayo. Will serve until 41 years. Two young country girls wish to go together as Cook and House parlourmaid; highly recommended; England preferred. Apply Tracy, Kilwarden, Kinnegad, Co. Meath. ...Daly...wife is the licensee of a public house...Mary Treacy, a servant of Mrs. Daly, stated she never saw Mr and Mrs Daly in any other way but the best of friends. The tender of John Tracey, Rathmolyon was accepted for repairs to Hodgestown well at £9/5/0. Wanted at once, carpenter, competent to carry out concrete job. Apply J. Tracey, Builder, Rathmolyan, Enfield. Summerhill Electoral Area (4 vacancies; 6 Candidates)...John Tracey, Kilbeg, Rathmolyon, labourer. There was no meeting of the Trim Board of Guardians on Saturday, the only members to put in an appearance being Messrs J. Treacey and J. King. ...Labour (three candidates)...Michael McGrath, Isaactown, labourer (proposed by John Tracey, Kilbeg, Rathmoylyon, seconded by James Ennis, Isaactown, Agher. (Mr. McGrath has also been included in the Republican ticket). Tavis Kilmainhamwood, for Mrs MT Treacy' 2 divisions prime grazing lands containing 7.5 acres and 6 acres respectfully. The defendants charged at a special court in Dunboyne as reported in a recent issue, were Michael Tracey and James Hickey, not Thomas Hickey, as then stated. Nov 26, 1927 (MC) A "Sad Grievance"
Wm. Tracey, Moynalvey, Summerhill, wrote drawing attention to a "sad grievance" in connection with the cottage in which he was living with his brother-in-law, Jas. Malone. The latter was to give him possession but did not do so. The matter was referred to the rent collector. ...Messrs JG Graves Ltd...granted an Attendce Order against J. Tracey, Rathmolyon, Enfield. Drogheda District - Cottage formerly occupied by Bridget Tracy, Donecarney. PA-22/20, EI-UFO was built in 1957 and for 13 years has been owned by William Treacy of County Meath, Republic of Ireland. It has O-290D2, 133 hp engine and is equipped with COR VOR. In 2005 plane was covered with Ceconite 101. Street Address: 656 W. Division St.
Residence: Chicago, Cook Co., Ill.
Burial Date: 14 Jul 1911 Calvary, Chicago, Ill.
Burial Date: 16 Jan 1930 Calvary, Evanston, Cook, Ill.
Thomas, beloved husband of Catherine Tracey. Native of Co. Meath Ireland. Died Mar. 19, 1897. Aged 50 Yrs. Tracy - In this city, March 19 1897, Thomas J. beloved husband Catherine Tracy, and brother-in-law of Mrs Mary Kenny. a native of County Meath, Ireland, aged 50 years. Mary Tracy m. John Doyle 15 Aug 1852 Wit: Nicholas Carney & Ann Carney Castlejordan Parish. Jas Tracy b. 9 July 1824 of Co. Meath Sp. Anne Drill. Pro-Cathedral Dublin. William Tracey b. 25 February 1831 Sp. Jno Doolin & Sarah Hampston. Pro-Cathedral Dublin. Smith and Tracy - Aug 30, 1887, at the Roman Catholic Church, Tullamore, by the Rev F Murphy, Mr Patrick Smith, Newmarket street, Kells, to Mary Ellen, daughter of Patrick Tracy, her Majestry's Customs, Liverpool. Seeking info on townland of my ggrandfather Patrick Tracy who emigrated from either the Carberry district of Kildare or Clonard in Meath in about 1850. He eventually settled in Juneau Co, Wi and married Catherine He(a)vey who was from the Moy valley, Kildare. April 16, at Longwood, county Meath, Mr. Thomas Tracey, aged 66 years. R.I.P. Tracey - At Longwood, co Meath, Mr. Thomas Tracey, aged 66 years. R.I.P. The following transcriptions are from the New York City newspaper The Irish-American. Spellings are as they appear in the newspaper. April (or May) 16 at Longwood, county Meath, Mr. Thomas Tracey, aged 68 years. The History of Moynalvey/Kilcloon Athletics Club spans more than two decades. Moynalvey/Kiltale Athletic Club was founded in 1982 by John Durkan and Jim Treacy. While strong links still exist between the parishes of Moynalvey and Kiltale through their respective GAA clubs, the athletics club spread its wings to encompass the parish of Kilcloon and the club as it is known today came into existence c.1989. The president of the club is Liam Treacy, who got international vests at schools and junior level for 800m and was a multi medallist for 800m at under age levels and competed for many years for Dublin City Harriers. His wife Siobhan Treacy, is a Chartered Physiotherapist was a member of Dublin City Harriers and won both the inter varsity cross country and 1500m three times representing Trinity College. She was a multiple track and field international at 1500m and competed at the world cross country 3 times. In addition she was silver medallist 3 times in the national senior 1500. Her personal bests are 2.07.0 for 800m, 4.18.0 for 1500m and 2.52 for the marathon. She was part of the only Irish women's senior team to win the home countries cross country international. She was physiotherapist to Irish Athletics for 15 years and was Physio to Athletics at the Barcelona and Seoul Olympic Games. Daniel, Sara and Fodhla Treacy are their children. In 2004, Daniel finished 2nd in the 1500m steeplechase in the Schools Athletics International in Chelmsford in July and was part of the Irish Schools Cross Country team in the same year. in Athletics to DCU and became a key member of their athletics team. He graduated with a BA in Economics Politics and Law. 26th November 2006 All Ireland Inter County cross country championships, Dungarvan Co Waterford: The Meath Junior Men produced a great team effort to take the Gold medal, lead home by Daniel Treacy in 14th place with all six runners in the top 35. 9th December 2006: All-Ireland novice cross country championships, Athlone Saturday Daniel Treacy was Meath's only athlete in the boys under 19 and he ran well to finish 7th. 30 Jul 2007 ESB National League at Santry: 1500m Daniel Treacy (Moynalvey) 5th 4.02.2. 4x400: Blaine Rennicks (Bohermeen) Emmet Reilly (Navan) Daniel Treacy (Moynalvey) and Niall Matthews (Navan) 4th 3.31.07. Leinster Girls Under 16 – Gold AAI Cross Country Championships at Fintra, Killybegs, Co. Donegal on the 14th December 2003. 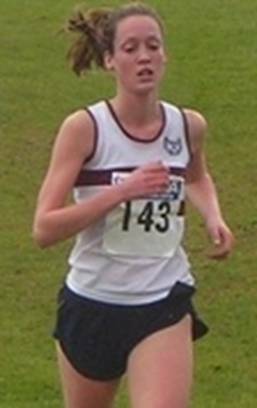 She won the Celtic International in Wales in January 2005 for girls under 17 and won the Schools International Cross Country in April again in Wales for the top under17 schoolgirls in Ireland England Scotland and Wales. She also won the Irish Schools under17 1500m in Tullamore in June 2005 and the Athletics Ireland u17 1500 in July 2005 in Tullamore. She was second in the Schools International 1500 in July also in Tullamore. Sara was Irish Junior Cross Country in 2006 (AAI website) and competed in World cross country that year and European cross country also.The Leinster Cross Country championships, Belvedere House Mullingar 23rd October 2006: The best individual Meath result of the day was Sara Treacy (Moynalvey) who had an emphatic win in the girls under 18 event. All Ireland Inter County cross country championships, Dungarvan Waterford 26th November 2006: Sara Treacy (Moynalvey) was Meath’s best placed runner and took the silver medal. She was a member of a very promising Irish junior cross country squad which finished ninth in the European Junior Cross Country Championship at San Giorgio su Legnano, Italy in December 2006. Sara picked up an injury shortly after the European Cross Country, and was subsequently unable to compete in the spring cross country events. This piece of bad luck ruled her out of contention for another Irish School’s Cross Country title, having already won a record breaking 4 in-a-row previous to that for her former school, The King’s Hospital. Sara’s transition from schools’ to university level competition will no doubt have been made even more enjoyable by the fact that she out-paced two of the UK’s top young athletes, Non Stanford (12:13 ) who has trained with double Olympic gold medallist Kelly Holmes, and 3000m specialist Olivia Kenney (12:55). Of particular note is the fact that this performance came after a 10 month absence from competition. the World cross country championships in March 2008 recording the highest placing of the Irish athletes finishing mid-way in the junior race in 32nd, won the Celtic Cross Country International on 12th January 2008 and 34th in the European cross country championships in December 2007. She won division 1 of the National Track and Field Finals July 2008. 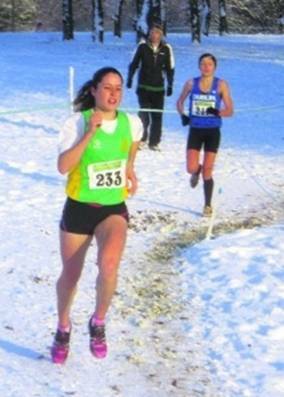 Sara, representing Ireland, won the junior women’s race international cross-country event in Belgium November 2008. In December 2010, Sara Treacy won the All-Ireland U23 Cross-Country championships at Derry, when she finished eighth overall and first in the u-23 event to maintain her position as one of the top athletes in the country. She won the title for the first time in 2009. 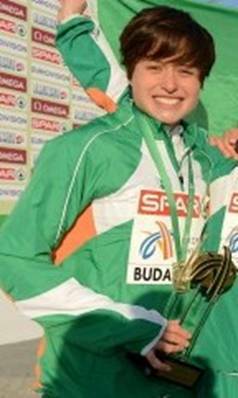 She lead the Irish ladies U23 team in the U23 European Cross-Country title in Albuferia, Portugal in December 2010. Ireland’s three representatives in the women’s U23 event put in par performances to all finish in the top 50, with Sara Treacy being the first Irish athlete home in 28th position in 21:34. In January 2011, she won the 8K Midland Women’s League, Coventry. On the 20th February 2011, she won the British Universities Indoor 1500m in Coventry. "Irish international Sara Treacy (fourth year Medicine) stormed ahead in the women’s 1500m, crossing the line at 4.30.05 to claim gold, a full 2.10s ahead of her closest competitor." 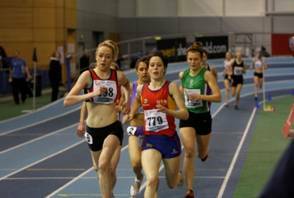 In June 2011 she took both the 800m and the 1500m events in the Irish U23 National Championships. In July 2011, she was a finalist in the 1500m of the eighth European U23 Athletics Championships in Ostrava, Czech Republic. 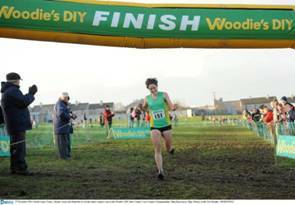 In November 2011, she won her third U23 title in a row while winning her first senior crown in the Inter County Cross Country Championships. She has also the U23 representative in the Irish Team for the 18th SPAR European Cross Country Championships which took place in Velenje, Slovenia on 11 December 2011, finishing in 18th place. In November 2012, completed her preparations for the Woodie’s DIY Inter County cross country championships with a fine fifth place finish in the IAAF World Cross Country meeting in Soria Spain. In December 2012, she was a member of the Ireland Senior Women Euro Cross Team that won gold in Budapest, Hungary on the 9th of December. Sara did a one year intercalated science degree at Loughborough University and graduated from the University of Birmingham in July 2013 as a medical doctor. In December 2013 at the European Cross-Country Championships in Belgrade, in the senior women's race, Sarah Treacy produced her best run yet at this level to finish 31st. On 18th May 2014 she won the Loughborough International Athletics, 3000m Steeplechase Match. In December 2014 at the European Cross-Country Championships in Bulgaia, in the senior women's race, she produced her best run yet at this level to finish 12th in a time of 29:23, playing a key role in Ireland's bronze team medal. She was also selected for Team Europe for annual international match between Britain, Europe and America at the Great Edinburgh International Cross Country on 12 January 2015. In February 2015, at the British Indoors championships in Sheffield, she won the 3000m in a personal best 9:06.27. Also in the 1500m, her time was 4:16.73. She is seeking European qualification in Birmingham in the 3,000m (9:00.00) and the 1500m (4:14.00) respectively. In July 2015, she make the qualifying time of 9:44.14 for the 3,000 metres steeplechase at next year’s Olympics in Rio during a race in Letterkenny and again 12 days later at the Karlstad GP in Sweden. In August, ranked in the top 45, she competed at her first World Athletics Championship in Beijing in the 3000m steeplechase where she finished 13th in her qualifying heat. In May 2016, there was another exceptional performance from Rio-bound Sara Treacy of Dunboyne at the BMC Grand Prix meet in Manchester Sport City, where she set an Irish record of 6 minutes 27.38 seconds when winning the 2000m steeplechase. In August 2016, she finished a creditable 17th place in the final of the 3,000 metres steeplechase at the Rio Olympics. As of October 2016, Sara's rankings in Ireland are 1st 2000m steeple, 1st 3000m steeple & 1st 3000m. 9th December 2006 All-Ireland novice cross country championships, Athlone Saturday: Meath Novice Ladies team took the silver medals and Fodhla Treacy (Moynalvey) lead the Meath team home in 7th place. Fódhla won the Irish universities indoor 800m in December 2006 and places 2nd twice in the outdoor 800m during her 4 years at Trinity (Graduated in 2007). Fódhla was a 4th year student of Science when she won the Iain Morrisson Award. Her total of 31 Intervarsity appearances in the DUHAC vest speaks volumes about her commitment to the club and to her training. A very consistent performer she has been decorated with seven Intervarsity medals and has represented the club in a number of disciplines including her favourite 800m, Cross Country, Long Jump, Triple Jump, Pole Vault, 4x200m and 4x400m. Fódhla is obviously a very talented athlete but the real achievement was that she saw the importance of her contribution to the team as a whole, always willing to do it for the greater good. Her contribution off the track was equally as impressive. She was on the committee for three years running and held a Captains position for two of these. Fódhla finished Trinity with a B.Sc. in Biology and graduated from St George's Medical School, University of London in July 2013 as a medical doctor. Member of the Republic of Ireland under-15 squad to meet Juventus in a friendly game at the Aspire Academy in Doha, Qatar in December 2012. In January 2013, he was nominated for Meath's Young Sportsperson of the Year. He made his international debut as a substitute in the friendly against Finland at Swords Celtic in April 2013. Played for the Republic of Ireland under-16 squad international friendly against Estonia in Listowel in September 2013 (6-0), where he saved a penalty. 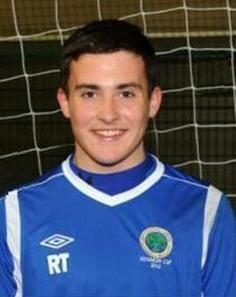 September 2014, member of the Republic of Ireland soccer squad that is taking part in a series of UEFA U17 Championship qualifiers. In June 2015, he signed a contract with English Premier League side Swansea City. He was on an apprenticeship with the Welsh club and was offered a contract when that programme was recently completed. He now plays with the Swansea U18 squad. Edwd Tracey & Mary S? ??? Tracey (d. of Jacobi Tracey & Brigida Garry of Oldcastle?) of 2 Bolton St m. ??? Redmond (s. of Stephani & Mariae Redmond of Bolton St) of 2 Bolton st on 11 October 1868 Wit: Jacobus Walshe of 23 Lt Britain st & Sus FFoliot of 1 Brigids Avenue. Vedua. Pro-Cathedral Dublin. 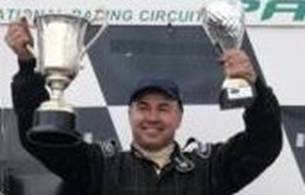 2010 maintained his title of Irish Drag Racing Top Car Class Champion, running the Mitsubishi Evo. 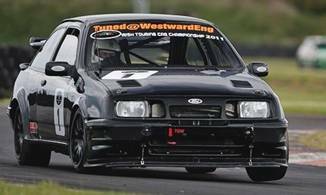 2010 won the inaugural Irish Touring Car Championship, driving the WestwardEng Ford Sierra RS500, and was presented with the Leinster Motor Clubs, prestigious Dunboyne Cup. He had a superb season with a record 7 wins in 8 races. 2011 won the Super Irish Touring Class Championship (ITCC). Jacobus Tracy of Ashbourne (s. of Jacobi & Maria Tracy of Ashbourne) married Anna Maguire of Malahide (d. of Luca & Elizabeth Maguire of Ashbourne) on the 18? Feb 1868 Wit: Robertus M'Auly of Ashbourne & Teresa Higgins of Malahide. Malahide Parish. Luke Tracey b. 24 Dec 1870 Sp. James Irvine & Anne Maguire? Ratoath Parish [crossed out under 24 Sep 1870] 20 December 1870 LDS) (see Ashbourne NS) [State reg: Tracey, Luke, Dunshaughlin, 1870 17 800] Living in Dublin, Census 1901 & 1911? Elizabeth Mary Spencer b. 17 January 1898 of 121 Lr Gloucester St Sp. Ellen Spencer. Sub Cond? Jane Tracey & John Bagg? A girl named Catherine Tracey, aged about twenty, was brought before a special court at Ashbourne on Saturday charged with deserting her infant child at Rath on November 26th...Catherine Rafferty deposed that she was aware that the prisoner gave birth to the child at Dunshaughlin Workhouse...Margaret Tracey, prisoner's sister... "Mick, I now leave your little daughter, Maryanne Macken, with you as I have no way of minding it. I am friendless and homeless this night. No one wants me. Mick, God forgive you. Trusting you will see to your child for my sake as I will be far away. From its mother, Kate Tracey, to its father, Mick Macken, Rath. "...She met Mick Macken at Rafferty's gate...She left the child at his feet and ran away...She then concealed herself at the opposite side of the road...her sister and Mary Rafferty came and took it away... On November 28th the child was left at Dunshaughlin Workhouse...The girl was returned for trial to Meath Spring Assizes, bail being accepted, herself in £20 with two sureties of £10. Henderson's Post Office Directory of Meath & Louth, 1861. Parish Guide to Meath, 1968. Bernard, Nicholas (ed.) The Whole Proceedings of the Siege of Drogheda [&] Londonderry, Dublin, 1736. Carty, Mary Rose History of Killeen Castle, Dunsany, 1991. Coogan, Tony Charlesfort: the story of a Meath estate and its people 1668-1968, The author, Kells, 1991. Coogan, O. Dunshaughlin, Culmullen and Knockmark, 1988. D'Alton, John The history of Drogheda, Dublin, 1844. D'Alton, John Antiquities of the County of Meath, Dublin, 1833. French, Noel Bellinter House, Trymme Press, Trim, Co. Meath, 1993. French, Noel A short history of Rathmore and Athboy, s.n., 1995. Healy, John History of the Diocese of Meath, Dublin, 1908. Kieron, J.S. An Outline History of the Parish of St Mary's Abbey, 1980. MacLochlainn, T. The Parish of Laurencetown & Kiltormer, 1981. McCullen, J. The Call of St Mary's, 1984. Paterson, J. (ed.) Diocese of Meath and Kildare: an historical guide, 1981. Redmond, B. The Story of Louth, 1931. Sims, A. Irish Historic Towns Atlas: Kells, Royal Irish Academy, Dublin, 1991.